Track Listing: 1. Good Morning 2. Hello. 3. This Is Love (feat. Eva Simons). 4. Scream & Shout (feat. Britney Spears). 5. Let’s Go (feat. Chris Brown). 6. Gettin’ Dumb. (feat. apl.de.ap & 2NE1 7. Geekin’. 8. Freshy (feat. Juicy J). 9. #thatPOWER (feat. Justin Bieber). 10. Great Times Are Coming. 11. The World Is Crazy (feat. Dante Santiago). 12. Fall Down (feat. Miley Cyrus). 13. Love Bullets (feat. Skylar Grey). 14. Far Away From Home (feat. Nicole Scherzinger). 15. Ghetto Ghetto (feat. Baby Kaely). 16. Reach for the Stars. 17. Smile Mona Lisa. 18. Bang Bang. If you’re a lover of superficial and auto tuned pop music then this is the album for you. The star studded tracks will keep you wiggling your moves whilst doing the spring cleaning, but if you are looking for meaningful lyrics then avoid this album at all costs. Interestingly, there has been some controversy surrounding this album,both before and after release. 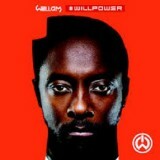 Firstly, Will’s album was initially scheduled for release in 2011. However, Will feared that that someone had stolen data from the hard drive on his computer. Will was concerned as he believed that some of his tracks were leaked on the internet, and the album was put on hold. However in August 2013 Will himself made the decision to upload the entire album on his YouTube channel, allowing the tracks to be streamed. To be fair, Will has had an exceptional work load to contend with, he has collaborated with various projects as well as being one of the lead judges on The Voice. He has also had to contend with the invasion of his privacy and possible theft of his work through his home computer. On balance, although the critics may have a point, nobody can deny that Will is highly skilled when it comes to collaborations with other artists.